Monday's Merseyside derby meeting with Everton is an even bigger game than usual for Liverpool because of their strong start to the season, according to Patrik Berger. The Reds have suffered just two defeats in their first 16 Premier League outings of 2016-17, laying the foundation for a potential title challenge in the second half of the campaign. And for Berger, that means the stakes are even higher for Jürgen Klopp's team when they travel to take on their old rivals at Goodison Park. "It's a big game because of where the season is at," he told Liverpoolfc.com. "The boys are second in the league and almost half of the season is gone so they are in a great position and can't really afford to drop points. "That's why the game is even more important than at the start of the season." 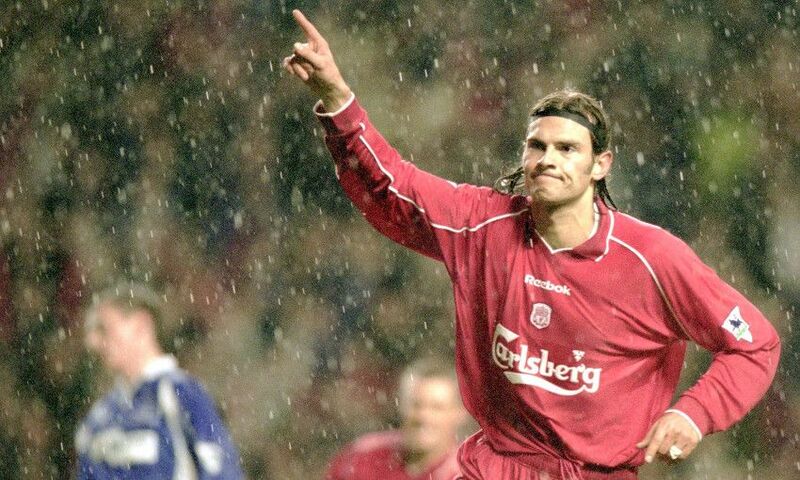 Berger made six appearances against the Toffees during his time at Anfield, scoring twice. As such, he knows just how special these fixtures are for both supporters and players alike. "It's the biggest game of the season for the fans and also for the players. It's a special occasion and everybody is looking forward to it," he added. "I was lucky enough to play in them and I scored in a few of them. It's the icing on the cake. That's why you train, why you work hard. "You want to play on the biggest stage against the biggest teams and Everton is the biggest rival for Liverpool. "You don't want to miss games like this." The former Czech Republic international also knows all about the reception the Reds will receive from a partisan Goodison Park crowd. Though he believes that can provide motivation for the visiting team. "In a way it's horrible but in another way it gives you a lift and the drive to want to win the game more than ever," he explained. "It's hard but it's brilliant - that's what it's all about." Berger was speaking from Kuala Lumpur, where the second leg of the LFC World roadshow has arrived this week. He is appearing alongside Robbie Fowler, Vladimir Smicer and Bruce Grobbelaar, helping to bring Malaysian Reds closer to the club than ever before through a range of activities and interactive experiences. Find out more at liverpoolfc.com/lfcworld.